With one in seven Canadians living in poverty, we continue to face significant challenges around eliminating poverty in our country. There is hope for a better future because of the generosity of donors, volunteers and community partners who continue to support The Salvation Army’s programs and services. The Salvation Army offers practical assistance for individuals and families often tending to the basic necessities of life, provides shelter for homeless people and rehabilitation for people who have lost control of their lives to an addiction. The Salvation Army gives hope and support to vulnerable people today and every day in 400 communities across Canada and in 131 countries around the world. The Salvation Army’s diverse programs focus on the individual needs and strengths of the 1.7 million people we help each year. We are making huge impacts by changing lives and building communities. As the largest non-governmental direct provider of social services in Canada, The Salvation Army offers unprecedented support to society’s most vulnerable. When you give to The Salvation Army, you are giving hope today by investing in the future of marginalized and overlooked people. 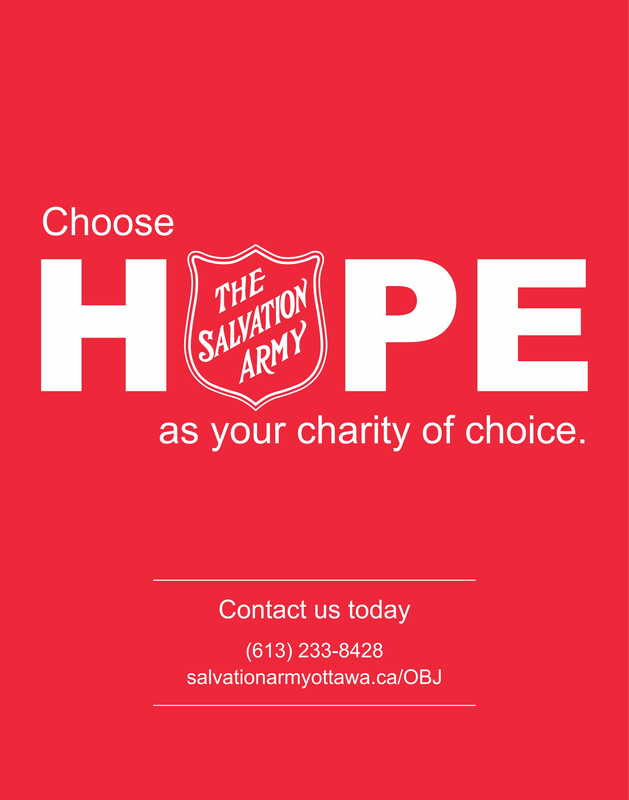 We provide several methods for making an online donation at salvationarmy.ca. Consider joining our team! Last year over 130,000 volunteers dedicated 1.1 million hours to our mission. Their dedication and effort have a huge impact on the amount of support and hope we are able to give to communities across Canada. Volunteers are integral to the work we do and help The Salvation Army to continue making a difference. This Salvation Army Festival of Carols is a celebration of the Christmas season and of this very generous community through song and music. This free concert includes a sing along and the sounds of choir and brass. Two performances will be held at Centrepointe Theatre. Contact the Centrepointe Theatre box office for tickets and information. President - Radical Simplicity Inc.
President & Chief Executive Officer - Ketchum Canada Inc.
Chairman - Nunavut Iron Ore, Inc.